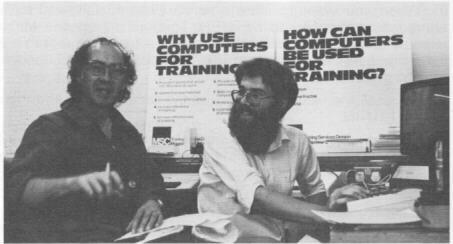 R.T.Russell: Happy Birthday BBC BASIC! BBC BASIC was 35 years old in 2016. Acorn Computers and the BBC set the end of July 1981 as the deadline for the completion of the very first version of BBC BASIC, so it would be ready in time for the launch of the BBC Microcomputer later that year. After a period of intensive testing and last minute bug fixing it was finally sent for ROM manufacture in mid-September 1981, with the first masked ROMs arriving from Hitachi in November. To commemorate this auspicious occasion I have featured below some notable applications and achievements of BBC BASIC over the past 35 years. For more background information you can read accounts of the history of BBC BASIC elsewhere on this site, on Wikipedia and in this PC Pro article. Supplied with every BBC Microcomputer was a Welcome Tape (or Welcome Disc) containing a set of example programs to show what the machine (and BBC BASIC) was capable of. Most of these were fairly conventional but one was anything but: the interactive poem Now Press Return by the Liverpool poet Roger McGough. This is no ordinary poem because part of it is left to the reader: each time you come back to it it is different in some way. It's a little known fact that the ARM processor architecture (initially Acorn RISC Machine) was originally modelled in BBC BASIC by its designers Steve Furber and Sophie Wilson. 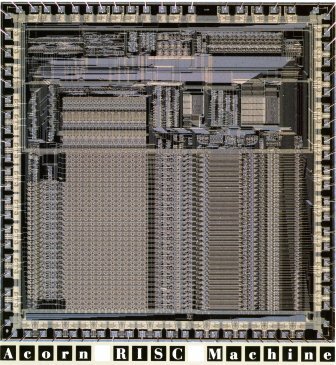 According to Professor Furber "The fact that [the model] is only about 700 lines of BBC BASIC, whereas in a modern hardware design language such as VHDL an ARM takes many tens of thousands of lines of code, also tells an interesting story". The ARM is now the highest-volume 32-bit (or more) processor in the world by a very large margin (over 1,400,000,000 ARMs were shipped in 2004). Click here to see a snippet of the original BBC BASIC code. In 1986 Cambridge Dynamics Limited produced a programmable version of a machine used in the production of power generators for aeroplanes and helicopters. It twists a complete set of copper 'hairpins' into the complex 3-dimensional shape of the generator stator windings. Earlier machines had relied on a complex mechanical cam to control the axes; the replacement used hydraulic servos to control the tooling. An industrial version of a BBC model B microcomputer formed the basis of the control system, programmed in BBC BASIC. 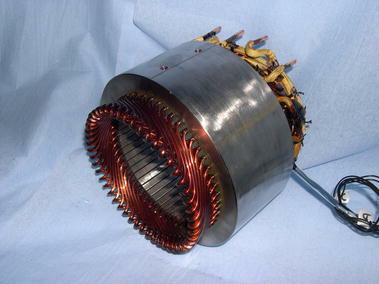 Conductors for a new design of generator could be produced in hours rather than days or weeks. 20 years later the machine has been refurbished and fitted with a new control system using BBC BASIC for Windows. Calculation of the servo data that used to take typically 20 minutes on the original system is now completed in as many seconds! 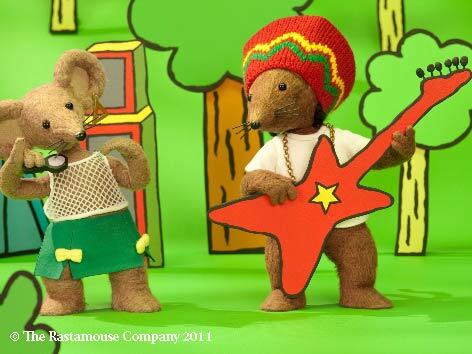 BBC BASIC for Windows was used to write software for animation companies including Dinamo Productions and Calon TV for use with their animation studios, on children's animations including Rastamouse, Hana's Helpline, Igam Ogam, Grandpa In My Pocket, and Iconicles. The software acts as a central hub for processing storyline data, combining scripts and directorial notes with shot and edit information. It works across a network to provide up-to-date information to the studio floor and to post-production, and creates a range of different outputs including customised audio files, preview videos and progress reports. The software can import and export data compatible with many standard media production tools, including Avid Media Composer, Final Cut Pro, Adobe Premiere and After Effects. Instat is a general statistical package written in BBC BASIC. It began life around 20 years ago on a BBC microcomputer and was first used on a training course on 'statistics in agriculture' held in Sri Lanka during 1983. The BBC micro version was marketed commercially from mid-1985, with the DOS version for PCs becoming available in 1987. From 1994 Instat was free-of-charge. Updated DOS versions were released in 1996 and 1997. A Windows version was released in 1999. Instat has been used widely in the UK and elsewhere by a range of companies, research institutes, schools, colleges, universities and private individuals. At The University of Reading it has been used extensively on training courses run by the SSC and the School of Applied Statistics. It has also been used in many countries on statistics courses and on courses related to health, agriculture and climatology. In 2008 BBC BASIC was used to restore the colour to a vintage television programme which had survived only as a black-and-white copy. 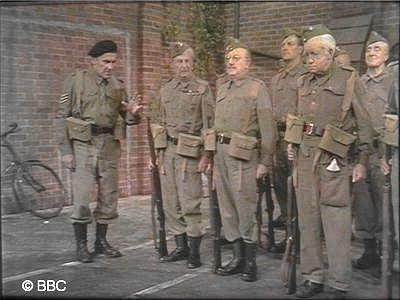 The Dad's Army episode Room at the Bottom was recorded in colour but the videotape was wiped in the 1970s. Fortunately the programme had been copied onto black-and-white film and the process used had preserved some evidence of the original colour as a pattern of fine diagonal stripes. A program was written in BBC BASIC for Windows to analyze the pattern and from it restore the original colours; details of the process can be found here. Once the raw colour had been recovered, further improvements were carried out to restore the programme to a quality sufficient for it to be broadcast on BBC2 on Saturday 13th December 2008. 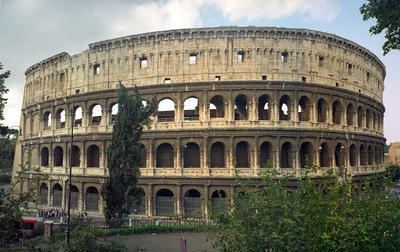 A BBC BASIC for Windows program is used to carry out seismic monitoring of the Colosseum in Rome. The program receives information from a number of wireless accelerometers, reconstructs the original waveforms, shows them on the screen and saves them periodically to an output file. It also communicates its status via an internet connection. The program runs 24 hours a day on an unattended PC and is achieving 100% service continuity, demonstrating the stability of BBC BASIC. In 1997 BBC R&D developed a system called free-d which could measure the position and orientation of a studio camera very precisely (with a resolution of about 1 millimeter and 0.01 degrees respectively). This worked by using an upward-pointing auxiliary camera to view passive, bar-coded, targets installed in the studio ceiling. Because of the requirement for low-latency, real-time, performance the system needed a dedicated hardware processor consisting of custom programmable logic to perform the image analysis and a DSP to carry out the necessary computations. 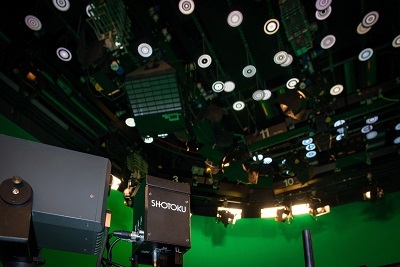 It was installed and used in many TV studios worldwide. In 2015 Shotoku brought out an updated version of the system called Free-d2 based on a general-purpose PC programmed in BBC BASIC for Windows, demonstrating the advances in hardware and software that have taken place in the intervening 18 years.